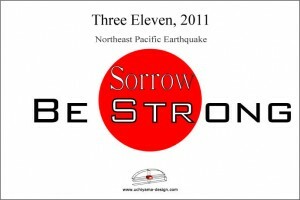 It passed couple of week after Japan North Pacific Earthquake and we could recognize how bad the situation is. We sincerely pray for people who suffered this disaster and passed away. I plan to visit Fukushima Prefecture in this weekend to help bringing food, water, cloth and something needs for people overthere. I have a lot of memories of Fukushima because the place is my grand father and mother’s birth region. I went there when I was child for summer vacation. I played at sea and famous spa place, ‘Haiwans”. I wanna do what I can do. So I will go there to bring necessary items. I’ll re-start this Blog, because this Blog is the message from working hard guy to working hard people. We have been suffered blackout and luck of fuel for the business. I think it’s good chance to organize the daily plan because if blackout time is scheduled. I need PC for my work, however, if I plan what I need to do for work at the blackout time, it will be organized and no problem. As matter fact there is some creative work by hand sketch. I put “Use Your Power to Do Good” on title that means not only electric power, but whatever you think power, money or time, use cleaver. It has been still many earthquakes and nuclear power situation is big issue that we have to concern. 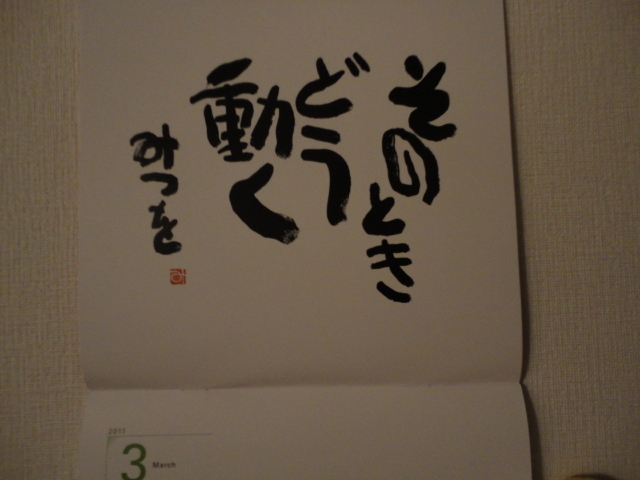 The photo is Japanese calligraphist, Mituo Aida, message. The meaning is something like “what we should do”. I watched the TV last night and people who still evacuate in northwest message thru TV that we are OK. Even though they aren’t OK situation, but the lady almost drop tear and said don’t worry, we are fine. What I can do now. I can only keep saying that we’ll overcome this disaster as Japanese. It has been unusual days since the Japan northeast earthquake. It’s hard to keep the balance of my heart when I watch the TV. Many, many people are lost and died and the town has gone by big Tunami. I got to do what I need to do right now. Japan will be unite as one nation with getting international support. 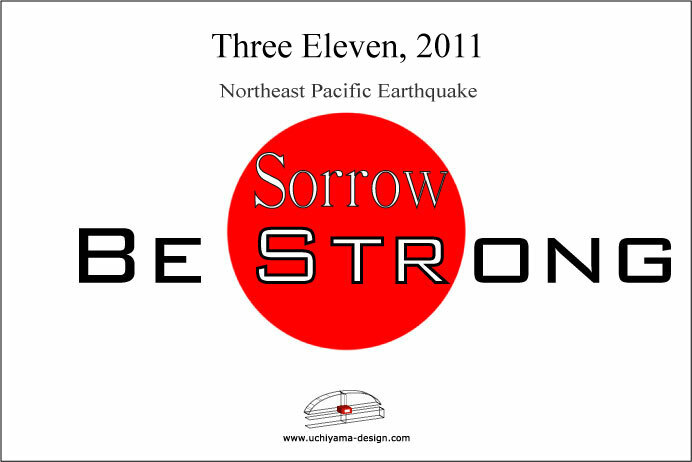 We, Japan, will recover strongly ever than before from this disaster. There was terrible earthquake and got very, very bad damage in north part of Japan. Over 1000 people passed away and still many people are missing. 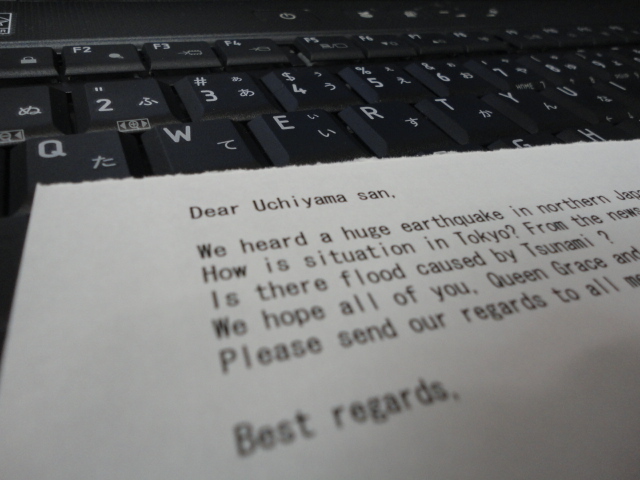 I received kind e-mails from outside of Japan. Even though cell phone connection was very pour, my friend from Taiwan called me and asked how I am. I felt we are global friendship and appreciate for your kind regards.